TOTALLY REMODELED, 2200 SQ. FT. BEAUTY ON THE C-23 CANAL! TROPICAL LANDSCAPING AND A WONDERFUL NEIGHBORHOOD. BRING YOUR TOOTHBRUSH…NOTHING TO BE DONE! IT IS BEING OFFERED AT $379000. IT’S LOCATED IN PALM CITY’S “HIDDEN JEWEL”…THE BEAUTIFUL EVERGREEN CLUB. 300 UNIQUE CUSTOM HOMES ALL LOCATED ON BEAUTIFUL 1 ACRE HOMESITES. SITES INCLUDE: THE C-23 CANAL, LAKE AND GOLF VIEWS, AND PRIVATE WOODED LOTS. AN 18-HOLE CHAMPIONSHIP GOLF COURSE MEANDERS THROUGHOUT THE COMMUNITY. CLUB MEMBERSHIP IS NOT REQUIRED IN ORDER TO LIVE IN EVERGREEN…BUT THERE ARE DIFFERENT MEMBERSHIP PROGRAMS TO ACCOMMODATE ALL HOUSEHOLDS. THE HOMEOWNER’S ASSOCIATION FEE IS MINIMAL…$2145/ANNUALLY WHICH INCLUDES OUR 24-HR MANNED GATED ENTRANCE, COMMON GROUNDS, AND BASIC CABLE. THE LOCATION IS WONDERFUL…CLOSE TO I-95, THE TURNPIKE, THEATER, RESTAURANTS, SHOPPING, HOSPITALS AND PALM CITY’S “A” RATED SCHOOLS. EVERGREEN CLUB IS A GREAT PLACE TO LIVE…A WONDERFUL PLACE TO CALL HOME!! 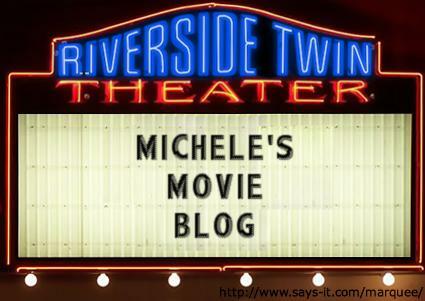 MY LIFELONG DREAM – I WANT TO BE A MOVIE CRITIC!! I LOVE MOVIES!! It’s my escape! The 1.5 hours I spend in the movie theater takes me to other places, sometimes makes me laugh, sometimes cry…but removes me from my personal world for a short time and puts me into someone elses! I’ll tell you a secret…but..don’t tell anyone!! After showing property all day, and sometimes arriving home late, it’s nice to clear my mind…so..I want to escape to a movie, and there’s no time for dinner. So, we stop at Publix, pick up a sandwich and sneak it into the movies. We buy a soda and we eat while enjoying the movie!! It’s fun…obviously it doesn’t take a lot to excite me! Then..my mind is clear to come home and work again!! Paul and I do our darnest to see all the movies that come out! Even those where we must read subtitles. But..I have to admit I don’t like the scary ones. Before we go to see a movie, Paul always reads what the critics say. How is it that I never agree with these critics?? I like to think that I’m an average person…most people I speak with enjoy the same movies I do….so..where do these critics get their ideas? To fulfill one of the things on my bucket list, I’m going to add my opinion of each movie I see in the future on my blog. THE DILEMMA (1-16-11) – Did you ever think about what you would do if you saw your best friend’s spouse cheating? Actually, you think you know what you’d do…but think about it…and the repercussions. Then…go see this adorable movie. Vince Vaughn and Kevin James play wonderful parts. It’s very enjoyable and when you walk out….I’ll guarantee a conversation about it with your movie partner. THE TOURIST (12-10-10) – Okay…I loved it!! Talk about someone who is gorgeous! Anjolina Jolie is absolutely stunning in this movie. Johnny Depp…pretty cute himself! It’s a pretty neat movie….has a surprise ending that I won’t tell…definitely worth the trip to the movie to see. FAIR GAME – This was the story of Valerie Plame Wilson….the CIA agent whose name was leaked. I should have known if Sean Penn was in it, it’d be an anti-government movie. I have no idea whose version of the story it was, or, if it was the actual way it all happened, but, the acting was great and the story was pretty good…just not sure if it’s the correct story!! FASTER – THE ROCK IS ALWAYS ENTERTAINING!! HE’S GOT A CUTE PERSONALITY AND IT COMES THROUGH IN THIS MOVIE. THE MOVIE WAS OKAY. NOT ON MY TOP LIST OF RECOMMENDATIONS. MORNING GLORY – What a cute movie that was! It was easy to watch. Light. And the characters were adorable. It’s nice to feel uplifted after seeing a movie. HEREAFTER – not bad. Matt Damon was good, but, didn’t walk out of there feeling uplifted…actually felt confused! SECRETARIAT – I LOVED THIS MOVIE!! Diane Lane was great….actually everyone was. John Malkovich played such a great part. Even though I knew the story before entering the theater…I found my adrenaline pumping during the races. Everyone walked out of the theater with a smile. RED- Easy to watch…a little bloody…but..the characters were cute and fun! Bruce Willis and Morgan Freeman are always entertaining. Helen Mirren played someone that I thought was out of character for her, but, really cute!! It wasn’t an 8 or 9 on the scale, but, I enjoyed it. MEGAMINDS in 3D tonight. I honestly don’t know what the critics who say it’s as good or better than Shrek are thinking. The animation, of course, was wonderful…the 3D fun as always, but, the story, although somewhat entertaining, was not funny or as clever as Shrek. This would not be one I’d say “go see”! During this week we have intentions of seeing Unstoppable. Science fiction movies aren’t our thing so we won’t be seeing Skyline. I’ll let you know my thoughts…. MY PERSONAL LIST OF CONTRACTORS WHO WILL SATISFY PEOPLE TOUGH LIKE ME!! I have to tell you…..I’m TOUGH (TUFF!)!! When I hire someone to do work at my home, I expect great service and if not…they aren’t invited back into my home. As a realtor, I do my utmost to assure my seller’s or buyer’s satisfaction, so, when a customer asks me to recommend someone to do work for them, I expect the contractor’s I suggest to show up, be on time, be thorough and ultimately do a great job!! I never recommend someone whom I haven’t used. And….if they can make me happy, I know that they can make my “people” happy. Here is my personal list of recommendations….I’ll add more to my list each week. Handyman/Contractor – Bob Bilodeau – 772-626-1733 When Bob says, “I’ll be there”…you can be sure he will be!!! Or…he’ll call if he’s a minute late. He does everything…from fixing a leak to remodeling a home. And…does it right! His prices are very reasonable. Interior Decorator – CJ Opett – 954-224-5844 If you wake up one morning…are unhappy with how your house looks….call CJ. He charges by the hour and will come into your home, move your own furniture and knick-knacks around, and you’ll feel as if you redid the whole house. What a knack!! Should you decide to paint, color is one of his specialities. His color choices, with your input, will enliven your home. Patrick, his partner, takes care of the construction part of the business. A/C Repairman – A/C Advantage – 772-336-7366 I think, in 9 years, I’ve gone through 10 different A/C companies. I’ve had a problem with my upstairs A/C, had 3 different companies out in a week, and noone could find the problem. Hence, called A/C Advantage, Daniel came out to my home at 10:00 p.m. and found the problem in 5 minutes. Had other problems, but, never had that problem again!! This man knows his stuff!! And…doesn’t matter the time, he’s there if you need him. Plumber – The Plumbing Company – 772-223-8688 These plumbers have always found or stopped the leak for whomever I recommended! Their prices are fair. Why they’ve even replaced total insides of toilets! I usually find Steve is the plumber who takes care of my people….but…I’m sure their other plumbers are just as good. Electrician – Ivan – 772-260-5361 Ivan has been helping my people for 9 years. He’s a great electrician. Priced reasonably. And…a heck of a nice man! Haven’t met anyone who doesn’t love Ivan!! Check back next week…I’ll be adding more to my list!!! TALK ABOUT VIEWS!! THIS HOUSE HAS A SPECTACULAR ONE!